The other day I was working with a colleague who expressed a desire to be just like me when in front of a room facilitating. I stopped her there and suggested that instead of aiming to emulate my style, she should work to build her own. I knew that not only are there plusses and minuses around what I do, but also, she would be much stronger if she were true to her own style rather than trying to copy someone else’s. This is true in all aspects of leadership…and, I believe, of life. While there are many, many books on the latest and best ways to lead and manage people, to be true in relationships, to parent, and simply to be, when we work with clients we guide them into developing a style and behaviors that are true to their own beliefs and natural way of being. We coach them towards finding the best of themselves at work and at home, and to strengthening their best as best they can. Our experience has shown that when we try to copy what we think is “right” we can’t necessarily keep it up for very long, and it doesn’t ring true and sincere with those around us. I’m happy to say that my colleague did develop her own style and comfort zone, and I’m happy to say there are parts of it that way outperform my own. I’m thinking of copying what I can…while still being true to myself. Investigate your own style and approach and build on your own strengths. Where are you trying to do what’s “right” when you’d be better served by doing what’s right for you, in the way that’s right for you? 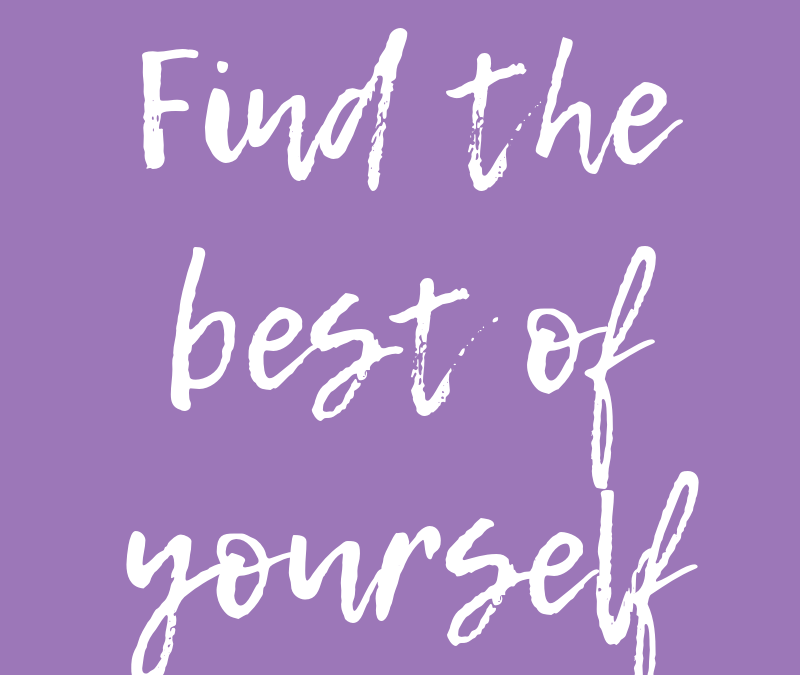 To learn how to find the best of yourself, contact Lisa at lkohn@chatsworthconsulting.com.